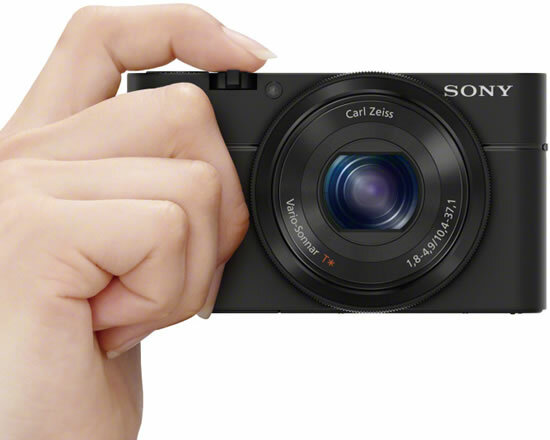 Travelling light no longer means compromising on picture quality with the Cyber-shot DSC-RX100 camera, Sony’s new flagship compact camera. Striking the ultimate balance of form and function, the new stylish, aluminum-built Sony RX100 camera inherits many advanced imaging features from Sony’s α range of A-mount and E-mount cameras, delivering beautiful still images, crisp full HD videos and a level of manual control and creativity unmatched by any other camera of its size. The camera’s powerful BIONZ image processor maximizes shooting response times while helping assure exceptionally clean, natural images. 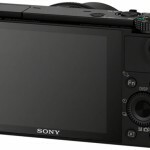 The Sony RX100 camera can also shoot at up to 10 frames per second (in full resolution) and has high-speed autofocus that locks onto a subject in as quickly as 0.13 seconds (depends on scene and lighting conditions). 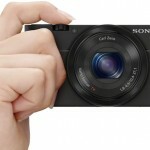 At the heart of the Cyber-shot RX100 is the world’s first 1.0-inch type Exmor CMOS sensor with a resolution of 20.2 effective megapixels. 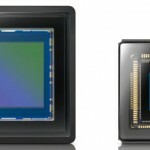 Specially developed by Sony, the sensor has an area that’s approximately four times larger than the 1/2.3-type sensors in traditional point-and-shoot cameras. 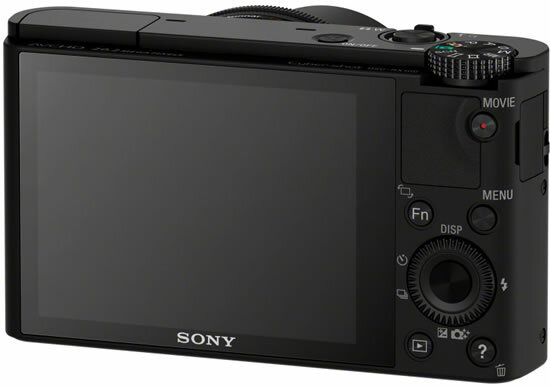 The sensor’s larger area takes in more light while capturing content, resulting in beautiful, detail-packed images and Full HD movie clips with very low noise. 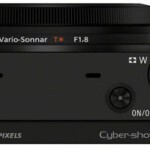 The larger sensor is partnered with an exceptionally bright Carl Zeiss Vario-Sonnar T fixed lens with 3.6x optical zoom range. 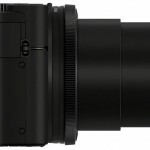 In contrast to standard point-and-shoot cameras, it has a wide F1.8 maximum aperture to let in additional light and complement the resolving power of the larger sensor. 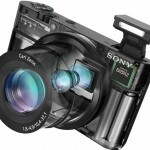 The lens also features an Advanced Aspherical (AA) lens element that contributes to the camera’s extremely compact dimensions without sacrificing optical zoom performance or resolution. 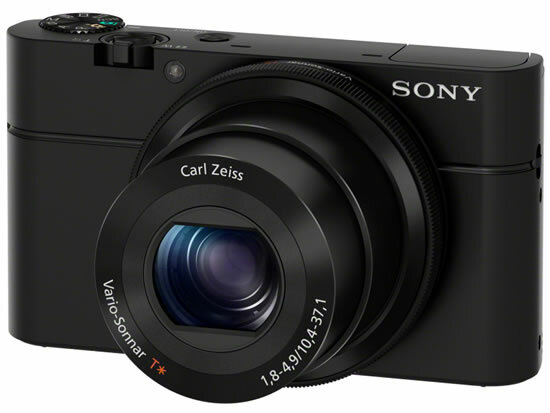 The new RX100 camera features a high-resolution 3-inch 1,229k dot Xtra Fine LCD display and also adds a new feature: WhiteMagic technology. 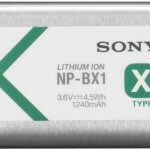 This uses additional white pixels to boost screen brightness, allowing users to see subtle details and tones on the screen in all types of shooting environments, including outdoors in bright sunlight. 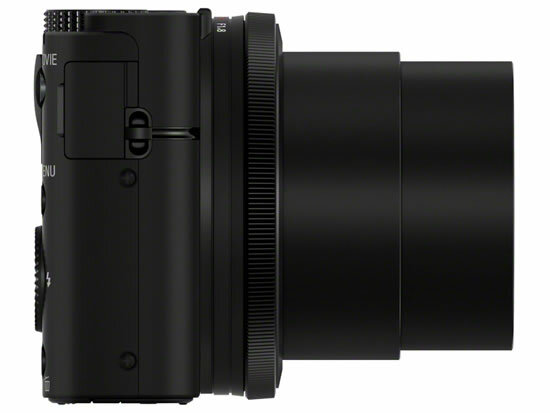 The RX100 camera offers a generous choice of artistic options to expand creative shooting possibilities. It includes the option for six different creative styles and a variety of popular picture effects including Toy Camera, Partial Color, HDR Painting and several others, most of which can be previewed directly on screen before shooting. 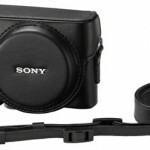 New accessories include a spare battery, dedicated carrying case and a battery charger designed to complement to the new camera. 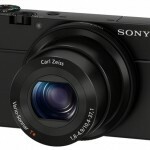 The Cyber-shot DSC-RX100 digital camera will be available this July for about $650.